​From family-owned business to larger corporations, most companies have one thing in common. They all need ways of reducing their maintenance costs. Whatever industry you compete in, epoxy flooring is a cost-effective way of protecting your buildings. From stain and damage resistant restaurant flooring to more durable industrial applications, epoxy coatings remain the best defense for more companies. 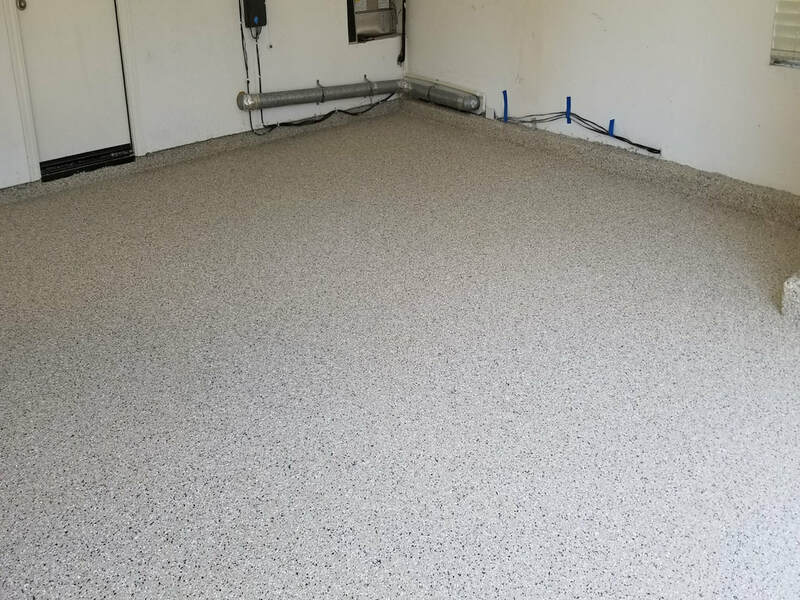 When you need a commercial epoxy flooring installer you can trust, you won’t find a better service than ours throughout the Orange County CA area. Garage Floors 1 Day remains the fast and affordable choice for more local businesses. No matter what the reason for your call, we guarantee the best results possible on every project. Contact us today for all your commercial epoxy coating needs. ​Food service companies must keep their kitchens safe, sanitary, and free of spills. However, your typical commercial kitchen is practically a battlefield every night. Flooring tiles easily crack and break, and laminate isn’t durable enough to withstand daily wear and tear. Epoxy floor coatings, however, can solve all your needs. Stains and liquids stay on top of the surface, allowing for faster, more convenient cleanups. And the coating can hold up to solid objects, sharp knives, and hot liquids better than any other flooring upgrade. 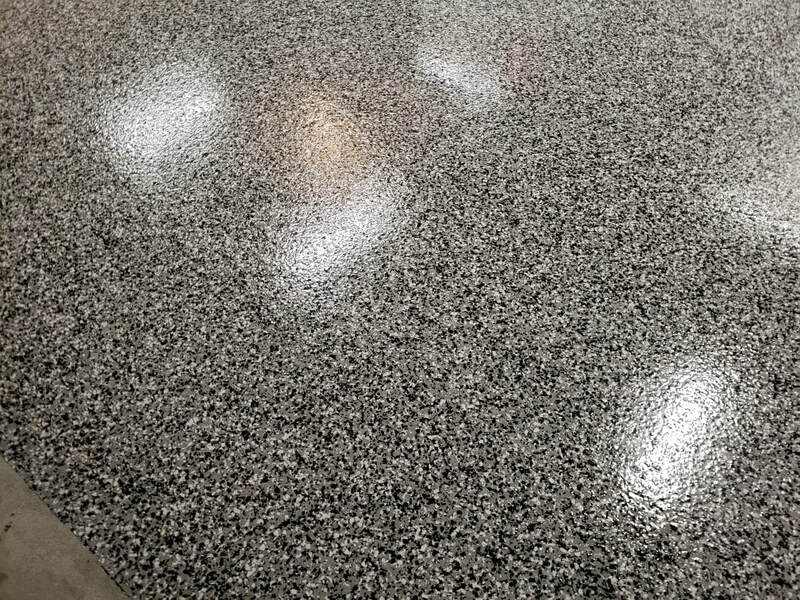 When you need to keep a well-maintained kitchen and hands-off maintenance, epoxy coatings are the best way to go. Contact us for your restaurant flooring solutions. As an educator, you need to keep your school safe, clean, and ready for hours of children. And if your school is like many, the floors stay scuffed, stained, and cracked no matter what you do to it. Epoxy coatings create the level of protection that you need, as well as complete customizability. Whether you need your school’s colors and mascot adhered or any other combination, we are here for you. Medical facilities remain a high-stress environment filled with dangerous objects, bodily fluids, and harsh chemicals. As a result, these buildings have floors that stay in a constant state of deterioration. Epoxy flooring for doctor’s offices, hospitals, and medical labs can all benefit from the improved impact resistance and waterproof nature of our product. It stays simpler to clean and even easier to maintain than any other flooring option. Warehouses are among the most trafficked buildings you could have. Heavy machinery, vehicles, and dense object hauling all wear away at your floorings every day. 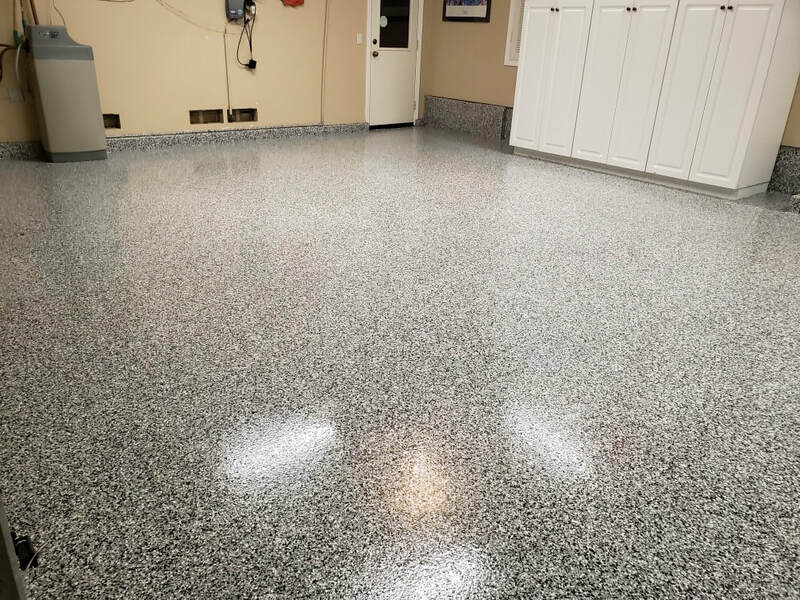 Epoxy warehouse flooring is the best way to defend against oils, chemicals, and other fluids, as well as taking on more force than anything else. No matter what you drive over it, it will remain in pristine condition for years. Whatever your business might be, from office spaces to construction, everyone has high traffic areas that need better protection. When you choose Garage Floors 1 Day for your industrial flooring needs, it means saving on lasting durability. Contact us for your best protective flooring solutions today.